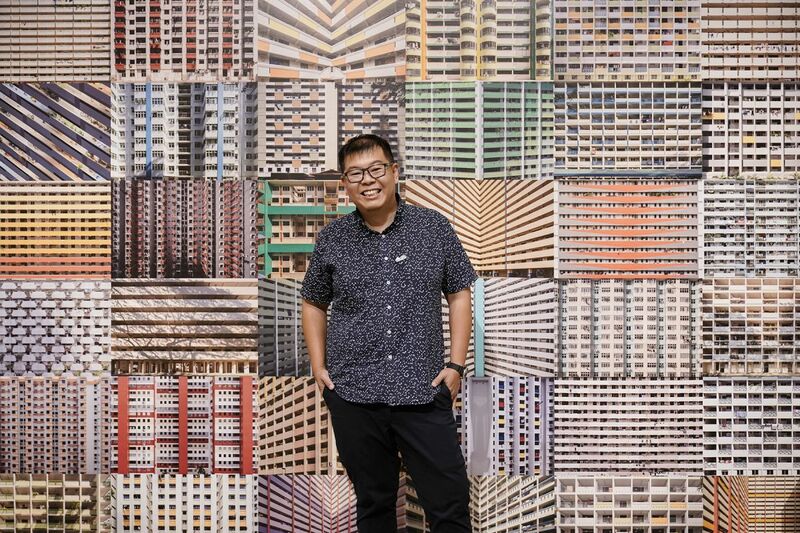 Noted Singaporean architectural photographer Darren Soh has emerged as one of 10 photographers from around the world, whose photo has been picked by tech giant Apple for its recent Shot on iPhone Challenge. The winning entry by the 42-year-old will be featured on billboards in select cities, in Apple retail stores and online. The winning shots came from a range of models, from iPhone XS Max to iPhone 7, showcasing the quality of cameras across Apple’s line of smartphones. 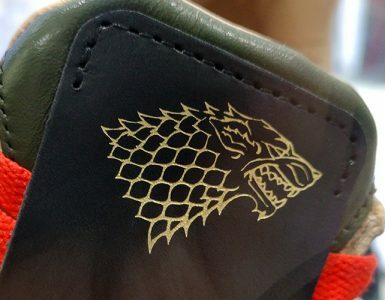 In a short chat with Geek Culture, the full-time photographer, whose photos can be found on Facebook and Instagram, said that first and foremost, it was an honour to be selected, and that “it is always good to be recognised” for the work that he does. Still, he is a little stunned that out of the millions of submissions, the judges for the competition chose his image. Having used the iPhone for photography since the iPhone 3GS, he decided to take part as it was rare that Apple would hold a global photo competition. Plus, he reckoned, he has a lot of photos in his iPhone to use. 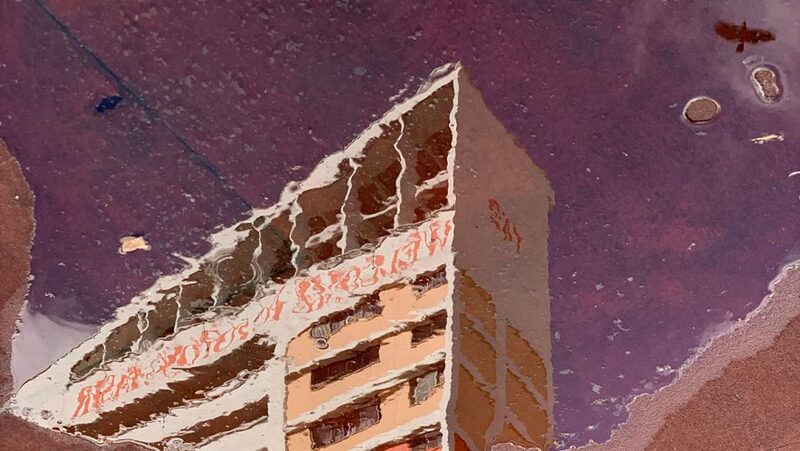 His winning photo is this reflection shot of a HDB, which stands for Housing and Development Board, otherwise known as public housing, in Potong Pasir, Singapore, with a crow flying past. He was walking by Potong Pasir Community Club at that time, and they just so happened to be cleaning the basketball court. He decided it would be nice to take shots of the HDB flats with the sloped rooftops, and he snapped a few shots, when a crow flew past and he managed to capture it. It was then that he knew this was the shot he wanted to send in. 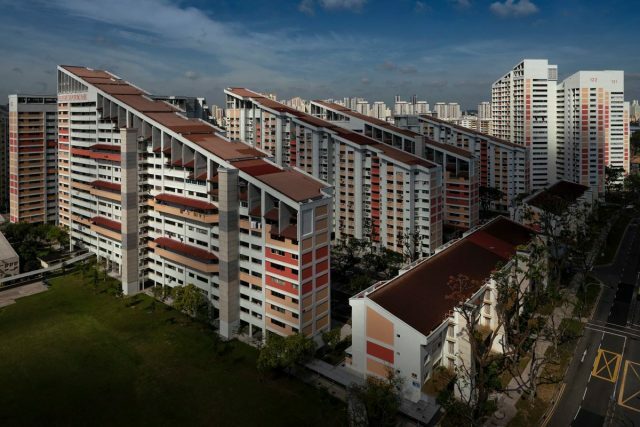 Soh noted that unlike most other photographers who upload their photos purely to showcase them off to followers, he wants to educate his followers on the rich history behind Singapore’s public housing. 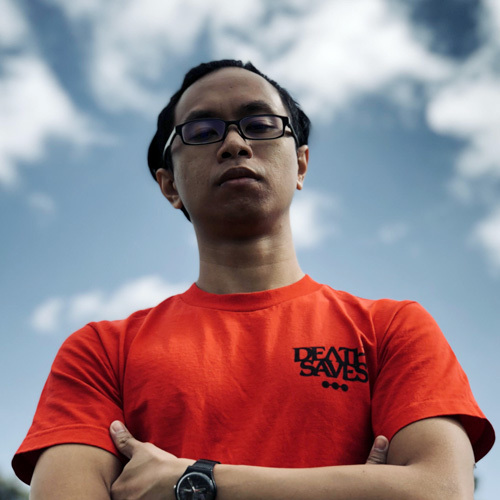 As an architectural photographer, he saw the rich history and story behind the unique design of HDB flats across the country, as he has realised that not many Singaporeans are aware of the history behind the HDB apartments they live in. “I think because we really live in them and we breathe in them all the time, we tend to take them for granted,” Soh explained. A joy greater than being the only photographer from Asia to win the challenge, said Soh, is knowing that there is a winning piece depicting Singapore’s HDB flats. 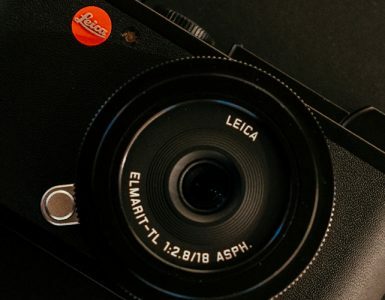 When asked for tips on how mobile photographers can improve their craft, Soh finds that composition and storytelling are two key components, not just for mobile photographers, but also something that photographers, in general, should take note of. “You should pay attention to your composition. That remains unchanged no matter what camera you are using, regardless of whether it is [an] iPhone or a bigger camera. I think very often having a story to tell with your pictures [is good too]. It doesn’t have to be some big life-changing, national story. It can be something you want to say about your family or your friends,” Soh explained. He also added that it helps to be aware of what your mobile device is capable and not capable of doing, as there are some things that phones like the iPhone just cannot achieve through technical limitations. He gave the example of trying to do wildlife photography of birds in the sky – it is impossible to properly shoot them as they are too far away. However, you should be able to do other kinds of wildlife shots, such as macro shots of flowers and insects, with your mobile devices. The top 10 winners in the campaign hail from across the world, including Germany, Belarus, Israel and the US, with photographs capturing city scenery, animals, creative reflections, the beauty of the ordinary and more. The international panel of judges include Pete Souza, Austin Mann, Annet de Graaf, Luísa Dörr, Chen Man, Phil Schiller, Kaiann Drance, Brooks Kraft, Sebastien Marineau-Mes, Jon McCormack and Arem Duplessis.